Today was my 6-year-old’s first day back at school after (what seemed like) the longest holiday break in the history of holiday breaks. When I got home tonight, I asked him about his day. I can ask FIVE questions and FIVE questions only, so you know I have to pick them carefully. I go generic for three and dig deep for two. Today he offered up his own recap of the day without me having to dig too deep. “Those are my revolutions,” he said. All of this to simply say that I’m keeping up with my own revolutions. Ahem, I mean resolutions. I’m still eating veggies and writing on my blog. 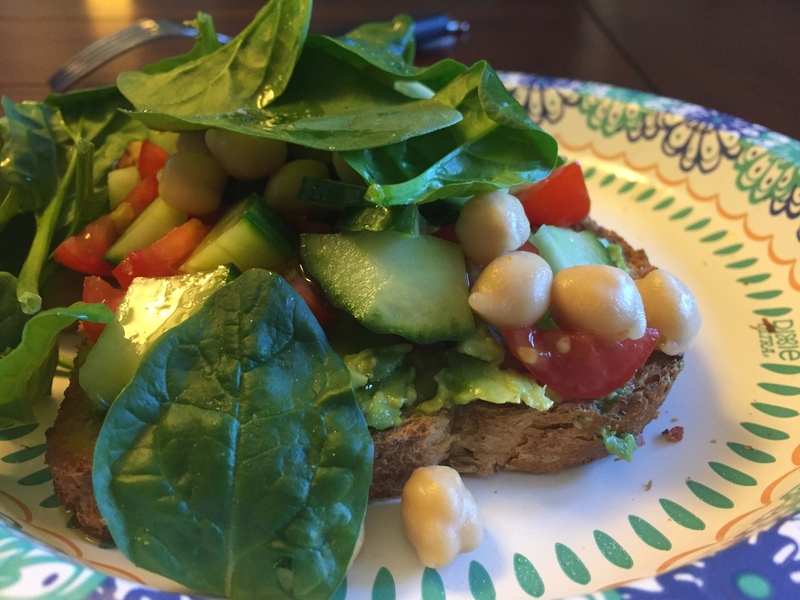 My lunches have consisted of avocado toast with veggies. Last night before bed, I drained, pressed, and baked tofu squares. Then I put it in the fridge to use tonight. When I got home from work today, I microwaved frozen broccoli. Then I sautéed a bag of riced cauliflower, diced onions, red and yellow peppers, green onions, and tofu. I added some salt and soy sauce for flavor. Once in my bowl, I added some more soy sauce, and drizzled some sriracha sauce on top. Super tasty and very easy. Hope y’all are having a great first week back in a semi-routine (whatever that is) and making steady progress on your own REVOLUTIONS.